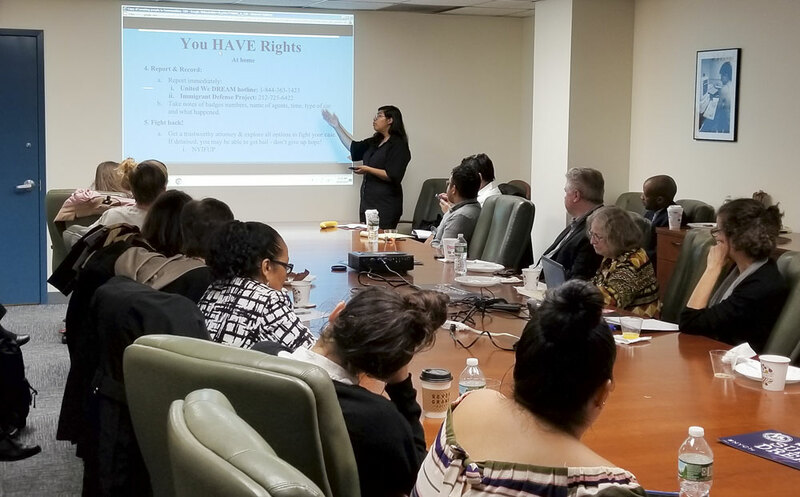 The Consortium for Worker Education and Make the Road New York held two immigrant rights trainings in October and November. At the first training, community organizations and unions learned how to prepare their members for interactions with immigration authorities, through know-your-rights education. During the second training, organizations learned how to respond to raids and support members in immigration detention. On December 13th, CWE and Make the Road will hold the third training in the series, which will focus on how to build advocacy campaigns that can increase public awareness and support for community members in detention and deportation.